Pakistan has a 1,046-kilometre (650 mi) coastline along the Arabian Sea and the Gulf of Oman in the extreme south western part of the country. Though cyclones are rare in the Arabian sea, cyclones that form in this sea mostly move towards Indian state of Gujarat rather than Pakistan. Cyclones in the Arabian sea form mostly from May till June and then from September till October, monsoon season plays a vital role for the formation of cyclone in this basin. Tropical storms that hit Pakistan are mostly remnants by the time reach pakistan or make landfall in south eastern Sindh which is not very much populated they rarely move towards the Balochistan coast. Is there any Cyclone warning centre in Pakistan? There is only one warning centre in Pakistan that is situated in Karachi. That too I suppose might be out of order. Cyclones that effect Pakistan lose much of their intensity by the time they reach country’s coastline. Following are the deadliest cyclones in Pakistan’s history, these cyclones caused fatalities greater than 100. Not much is known about this cyclone but it is the deadliest tropical storm in the history of Pakistan as it caused 10,000 casualties in Karachi on 15 December. This cyclone is the strongest and most intense cyclone in the history of Pakistan. A category 3 hurricane, it killed 6200 people in the country and made landfall in Shah Bandar at peak intensity on 20 May near Karachi city in Sindh province. It killed 200 people alone in Karachi city on 23 June due to heavy rainfall and intense windstorms of 70 mph. It made landfall near the towns of Ormara and Pasni in the Balochistan province on 26 June where it killed 300 people. Overall it killed 730 people and affected the lives of 2 million people in Pakistan making it the third deadliest cyclone in the history of the country. A category 1 hurricane, it weakened over the sea near Sindh-Gujarat border due to high wind shear. However it caused massive rainfall and flooding in Karachi but Thatta and Badin districts were the worst affected where the cyclone killed 609 people and displaced some 200,000 others. It made landfall in Tharparkar and Hyderabad district in Sindh province in Pakistan on 12 June. However it caused a great loss of life and property in the province. It killed 450 people and left some 400,000 people homeless. Cyclones mostly hit the Sindh coast than the Balochistan coast in Pakistan. During the last 100 years a number of cyclonic storms have struck Pakistan’s costal areas. The years involved were 1895, 1902, 1907, 1944, 1948, 1964, 1985, 1999, 2007 and 2010. Other cyclones that are listed below caused rains as remnants. In 1895, a cyclonic storm hit the Makran coast in Balochistan province. In May 1902, a cyclonic storm struck the coast in the vicinity of Karachi. Again in June 1902, a cyclone hit the coast near Karachi but according to the New York Times, the cyclone hit Karachi. In June 1907, a tropical storm struck the coast near Karachi. On 27 July 1944, a cyclone left some 10,000 people homeless in Karachi. In 1948, a tropical storm made landfall along the Makran coast in Balochistan province. On 12 June 1964, a deadly cyclone made landfall near Karachi. It killed 460 people and left some 400,000 people homeless in south eastern Sindh. On 15 December 1965, a powerful cyclone slammed Karachi with 10,000 casualties. In 1984, there are unconfirmed reports that a cyclone hit Makran coast. In May 1985, a cyclonic storm made a landfall in the eastern direction of Karachi. The cyclonic storm in 1985 which was moving towards Karachi actually had weakened over the sea while still a few 100 Kilometers away south of Karachi. It did, however, cause concern and panic for Karachiites. In November 1993, a category 1 1993 Indo-Pak cyclone approached the Sindh-Gujarat border but dissipated due to high vertical wind shear over open waters. It killed 600 people in coastal Sindh with massive flooding in Karachi. In June 1998, remnants of the category 3 1998 Gujarat cyclone (the 5th strongest cyclone of the Arabian Sea) killed 12 people in Karachi. In May 1999, again a category 3 1999 Pakistan cyclone (the 4th strongest cyclone of Arabian Sea) hit Keti Bandar near Karachi at peak intensity in Sindh province; this Cyclone killed 6400 people in Sindh. It is the strongest cyclone recorded in Pakistan. In May 2001, the powerful category 3 2001 India cyclone (the 3rd strongest cyclone of the Arabian Sea) hit the Indian border of Gujarat. It caused rain along the Sindh coast, but no damage was reported. In October 2004, a severe cyclonic storm, Cyclone Onil, approached the Sindh coast but later recurved back to the sea; it caused heavy rain that killed 9 people in Karachi. In early June 2007, a category-5 Cyclone Gonu (the most strongest cyclone in the Arabian sea) passed near the city of Gwadar in Balochistan province as a cyclonic storm with torrential rain and strong winds, it caused damage to dozens of boats and school buildings in the area. It also caused high winds with light rainfall in Karachi and other coastal areas. In late June 2007, a cyclonic storm, Cyclone Yemyin, passed near Karachi and hit between the towns of Pasni and Ormara in Balochistan Province. 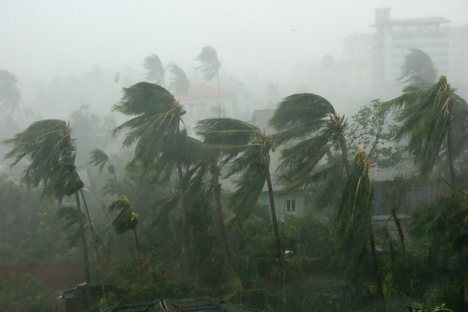 In November 2009, remnants of Cyclone Phyan caused gusty winds along the Sindh coast including Karachi. However six Pakistani fishermen were trapped in the storm later rescued by the Indian Navy. 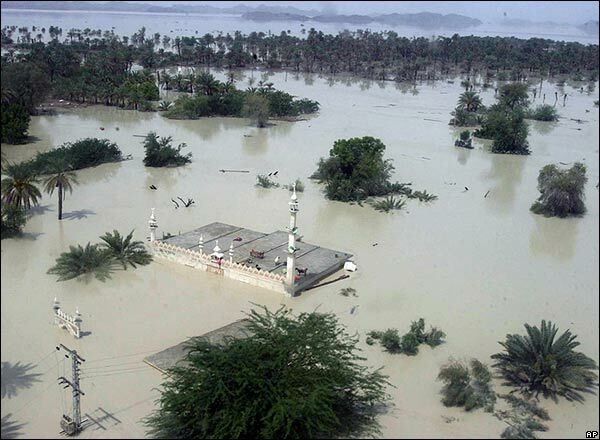 In June 2010, Cyclone Phet (the 2nd strongest cyclone in the Arabian Sea), once a powerful category 4 cyclone, made landfall in Keti Bandar as a weak tropical depression, with a total 14 casualties in Pakistan. Before that it wreaked havoc in Gwadar, Balochistan province as a category 1 cyclone. In November 2010, remnants of Cyclone Jal caused dusty winds in Karachi while it caused light to moderate rainfall in southeastern Sindh. 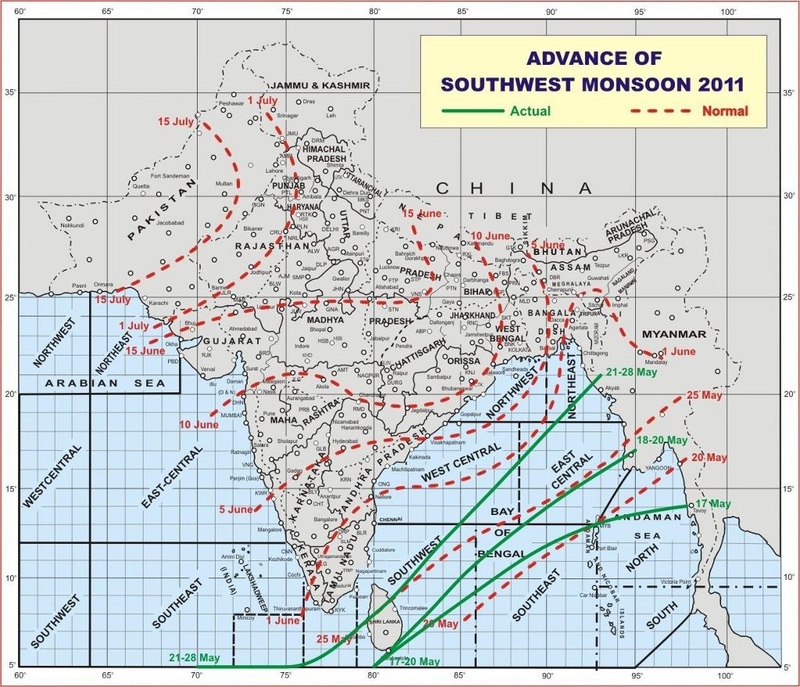 In early November 2011, moisture from Cyclone Keila that was moving towards Oman, caused drizzle in Karachi. It tells us that cyclone do occur in Pakistan, we have to prepare ourselves to avoid major disasters as these nature’s beast are likely to increase in the years ahead – thanks to global warming. The Keila hype – It is not even a low pressure yet! I think there was also a cyclone in 1993, that was about to hit karachi but it diverted in the last moment. It was about to strike Karachi, but it divertd at the last moment! the best month of rains in karachi from what I have remembered was 2007.. I remmember the crazy rain that hit Karachi.. last year that Al nino killed the monsoons.. waiting for something interesting this year!! Yes 2007 was the best, cant forget it 🙂 I hope this year too we can see a repeat of 2007! !